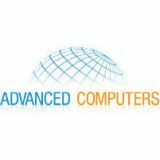 Tip of the Week: Filters Can Improve Your Experience with Gmail - Advanced Computers Blog | NY | Advanced Computers, Inc.
Once you enter your desired information into the fields, you’ll see a selection at the bottom of the window that says Create filter with this search. Once you click on this, you can then select more information about what you want the filter to do. Finalize your selections and select Create Filter. If you want to make a filter based on one specific message, that’s also a possibility. Click the checkbox of the message you want to base the filter on and select the More button at the top of Gmail. You’ll then see the option to Filter messages like these. All you have to do is then select the properties of the filter and you’ll be all set. What if you want to edit filters that you’ve created? This is where you need to access Settings, which is the gear-shaped icon in the right corner. The setting that you’re looking for is Filters and Blocked Addresses. This will display a list of all of your filters. Select the one that you’d like to edit or delete and make your changes. How will you use Gmail filters to benefit your organization? Let us know in the comments, and be sure to subscribe for more great tips and tricks.